The submission fee is $300 per entry. To be eligible, PRODUCTS should be introduced to market between September 2018 and September 2019. PROJECTS should be completed between September 2018 and September 2019, with the exception of the On the Boards categories, which are reserved for in-progress projects. View the 2018 list of categories here. 2019 categories will be posted in June. No, there is no limit to the number of entries you may submit. Each entry can be submitted to one category at a time. If you would like to submit the same entry to additional categories, you will have the option to duplicate your entry at the end of the form. If you would like to duplicate an entry that has already been submitted, you can go to your completed entries under "My Account" and click "copy". You will receive an email if your product or project is chosen as a finalist in mid-November 2019. This email will be sent to the contact email address used on the entry form. Winners will be announced live at the awards ceremony on December 6, 2019. Winners will be announced LIVE at the Best of Year event on December 6. Finalists will receive two complimentary tickets to the event. Winners will also receive a congratulatory email following the event and winners and honorees will be published on InteriorDesign.net. Winners and honorees will be featured in the December issue of Interior Design and on InteriorDesign.net. Winners will receive an infamous Bulb award, designed by Harry Allen and honorees will receive an honoree plaque. Winners and honorees will receive creative assets for use on digital and print marketing materials and will qualify for exclusive advertising opportunities with Interior Design. Product entries will go into a public product gallery and will be voted on by the A&D community from October 7 - 18, 2019. Following public voting, the results are reviewed by an Interior Design editorial panel. Project entries will be judged by an Interior Design editorial panel. Visit the online gallery between October 7 - 18 and use the list on the right hand side of the page to navigate through the categories. Yes, you are encouraged to vote as many times as you wish but you may only vote once per category per day. am i allowed to promote my entry on social media to encourage votes? Yes, we will provide a digital seal for you to use in your marketing efforts. You are encouraged to promote voting through your marketing channels. Best of Year awards finalists will receive two complimentary tickets to the event. Additional tickets can be purchased online beginning in November. Yes, tickets will be available on boyawards.com beginning in November 2019.
how can i sponsor the best of year awards? 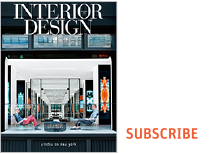 If you are interested in becoming a sponsor of Best of Year, please contact your regional director, 917.934.2882 or idsales@interiordesign.net.